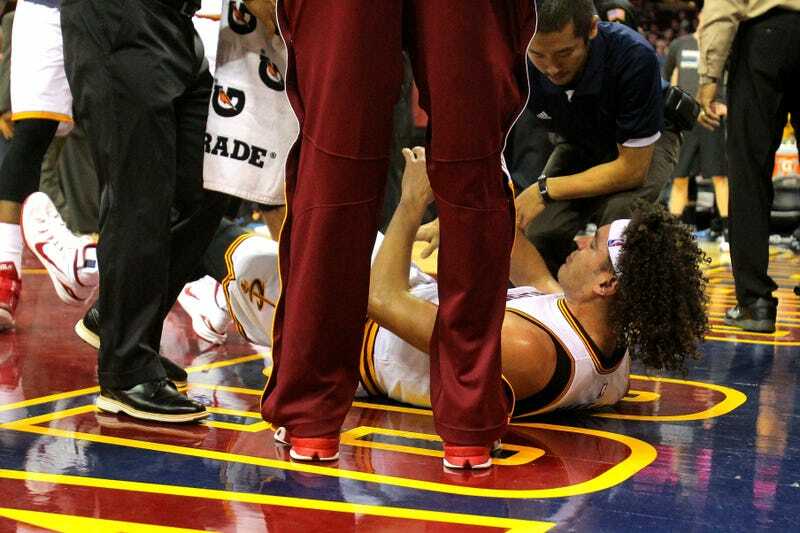 In the third quarter of last night's game against the Timberwolves, Cavaliers center Anderson Varejao went down and stayed down. Today, Adrian Wojnarowski reports that it's a torn Achilles tendon, and he's done for the year. It's the third time in five years that Varejao will have missed more than 50 games, and puts the Cavs immediately in the market for a replacement if they don't want Kevin Love and Brendan Haywood splitting time at center.